Some years ago, when Miss Snark was active online, she recommended that aspiring authors read debut novels to study up on what’s selling. I did that for several months straight, and one of the books I read was Joshua Palmatier’s The Skewed Throne. It was pretty intense stuff. First, thanks, Harry, for having me guest blog today. I hope your readers enjoy! One of the most common questions I get as soon as I introduce myself at signings or on panels at conventions is, “Why are you published under two names?” If you weren’t aware, I have a split personality. My “Throne of Amenkor” series and most of my short stories are published under my real name, Joshua Palmatier. I also edit anthologies under that name. 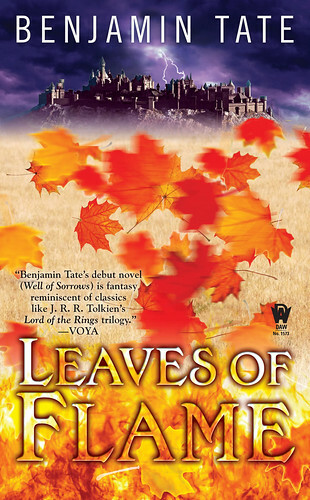 My newest series (check out LEAVES OF FLAME, just released) is published under the pseudonym Benjamin Tate. The short answer to that question is easy: marketing. All of the more detailed reasons I’ll get to shortly boil down to that: marketing. The publisher is attempting to make as much money off of the books produced by the author as possible. Marketing is what drives the publishing machine, and most decisions—from the cover art, cover copy, even what appears inside the book—comes down to what the publisher thinks will sell the most copies. First, SALES: I’d hazard that this is the most common reason a pseudonym is used. Basically, the number of copies ordered by the bookstores like Barnes & Noble depends on the number of copies of previous books sold by that author. If the author is new, B&N has no previous numbers to base their ordered on, so it comes down to how well the publisher can excite them about the book. But once the author has a second or third book on the shelf, the publisher can talk all they want, but B&N is going to look up the previous sales before they order the new book. And in general, if the previous book sold, say 20 copies in one store, they will order FEWER copies of the new book. I see you shaking your head; I shake my head as well. I don’t understand it, but that’s how it happens. 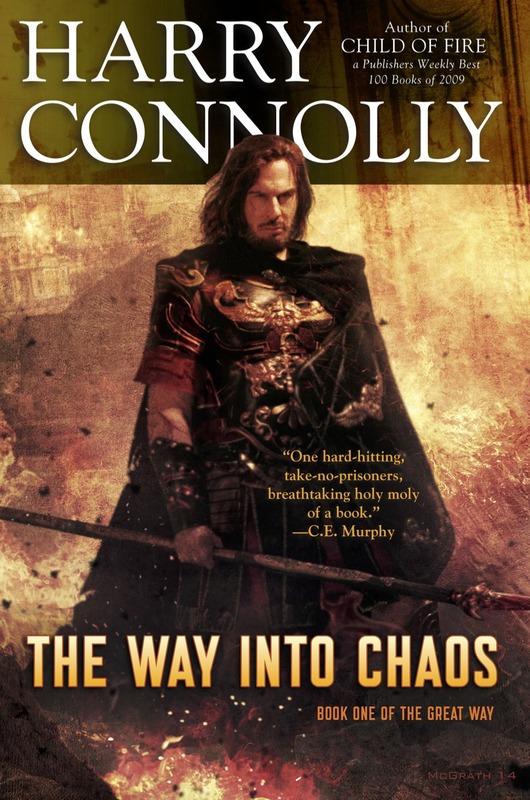 Sometimes the publisher can convince the bookstore to order more, if the title has some particular buzz or other selling point, but most of the time not. What happens is what writers and publisher refer to as the “death spiral.” Book 1 sells 20 copies in a particular store; the store orders in 15 copies of book 2 (and typically won’t reorder if these sell out); the store looks at the 12 copies of book 2 sold when book 3 comes out and orders 10 copies for the store; etc, etc, etc. You can see where this is heading. So, if a particular series from an author is caught in the death spiral, when that author introduces a NEW series, the publisher can risk the bookstore looking back at the old sales and saying it didn’t sell well, we aren’t going to order much of this new series, even though its new . . . OR the publisher can introduce the new series under a pseudonym. The bookstore has no previous sales records to look at, so they order 20 copies, as if it were a debut author. And then the publisher and author hope that the book and pseudonym takes off and avoids the death spiral. A second reason for using a pseudonym is GENRE. Often an author is interested in writing in more than one genre of fiction, say fantasy and mystery, or science fiction and romance. In this case, the author may want to keep the marketing of the two genres separate. You don’t want the exuberant fan of your cozy mystery novels seeing your name on the cover of a new book, pick it up expecting a cozy mystery, and then discovering that the new book is erotica. That could alienate your fan. (Or it could make them an even bigger fan, who knows? It’s a risk.) To avoid this possibility, you write one genre under one name, and the other under a different name, thus keeping the two genres separate. No one accidentally picks up your western novel when they’re a fan of your science fiction. This can also be done for subgenres as well—say using one name for your historical romances and a second for your paranormal romances, just to keep them separate. As I said, there are other reasons for using pseudonyms, but I think those are the two main reasons. Both of them come down to marketing in the end—whether it’s marketing a new name to escape the sales records, or marketing a new name for a particular genre. Which reason was it for me? I have to admit it was the death spiral. While the sales of my “Throne of Amenkor” series weren’t horrible (they were modest), my publisher felt that I might be able to expand my audience by using what’s called an “open” pseudonym—basically a pseudonym whose real identity wasn’t kept secret after the release of the new book. It was hoped that the “Joshua Palmatier” fans would learn that I was now writing under the “Benjamin Tate” name and buy the new books, while I’d pick up new readers for the “Ben Tate” books by catching people browsing the shelves and running across this debut author. Joshua Palmatier (aka Benjamin Tate) is a fantasy writer with DAW Books, with two series on the shelf, a few short stories, and is co-editor with Patricia Bray of two anthologies. Check out the “Throne of Amenkor” trilogy—The Skewed Throne, The Cracked Throne, and The Vacant Throne—under the Joshua Palmatier name. And look for the “Well” series—Well of Sorrows and the just released Leaves of Flame—by Benjamin Tate. Short stories are included in the anthologies Close Encounters of the Urban Kind (edited by Jennifer Brozek), Beauty Has Her Way (Jennifer Brozek), and River (Alma Alexander). And the two anthologies he’s co-edited are After Hours: Tales from the Ur-bar and the upcoming The Modern Fae’s Guide to Surviving Humanity (March 2012). Find out more about both names at www.joshuapalmatier.com and www.benjamintate.com, as well as on Facebook, LiveJournal (jpsorrow), and Twitter (bentateauthor). Just to throw my own two cents in, when I first started coming online in the middle 90’s, I discovered that some editors hated pen names and actually refused to honor them in their magazines. Apparently, writers used to use them to hide the shameful truth about their second, science fictional careers and this editor (who is dead now and shall remain nameless) just assumed that anyone using a pen name was being insulting. Oh, genre, you’re so wacky.